Lobed-Leaf Climbing Senecio is climber with pinnately lobed leaves or with large terminal lobe and 2-6 small lateral lobes at base, and with many lax, domed branched clusters of bright yellow flower-heads at branch ends and on branch sides. lower-heads are about 8 mm long, with few ray florets, about 5 mm. Involucral bracts are linear-oblong, pointed, nearly hairless. Leaf margins are entire or coarsely toothed. Leaves are stalked. 7.5-10 cm long. The climber is up to 4 m long. 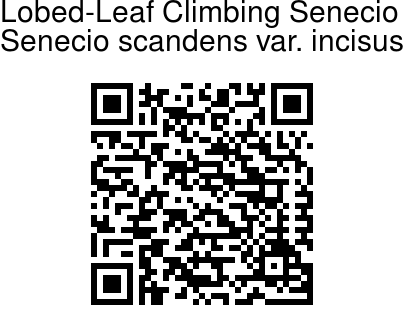 Lobed-Leaf Climbing Senecio is found in Eastern Himalayas, from Nepal to NE India and China, up to altitudes of 4000 m. Flowering: August-February. 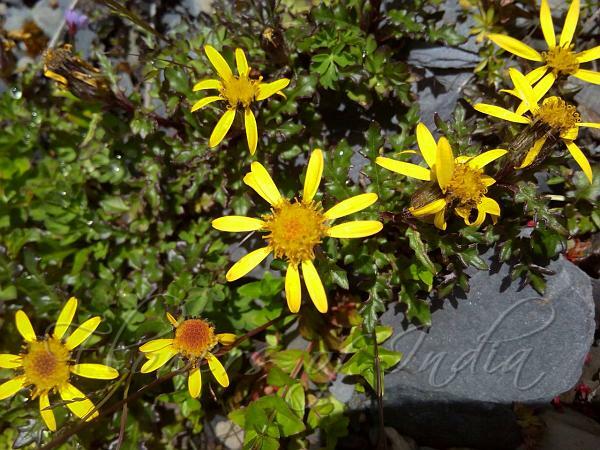 Medicinal uses: Lobed-Leaf Climbing Senecio has been used as a kind of folk medicine for inflammation and apoplexy treatments in SW China.